As you’d expect with one of the most popular microphones on the market, the demand for Blue Yeti accessories is huge. It’s a versatile little beast right out of the box with it’s multiple polar patterns, built in stand and various other features. But, add a few choice accessories, and it can be even better. You can read our full review of the Blue Yeti, but let’s cover the highlights here. On the plus side, it’s simple, good quality, and helps you get up and running in minutes. Those three factors are why the majority of podcasters on our gear survey claim the yeti as their mic of choice. But, on the negative, the Blue Yeti’s short stand makes for a less than ideal recording position, and its sensitive condenser-mic innards pick up pops like no-ones business. Luckily we’ll cover a range of yeti add-ons here that can solve for both! So, let’s get into it – here are some of the best Blue Yeti accessories if you’re looking to upgrade your mic. And if you’re not yet committed, and still shopping around, you can see the full range of Yeti competitors in our USB microphones roundup. Question: What Blue Yeti Accessories are most Important? This post was prompted by an email I got from Brian Flaherty about upgrading his Yeti. So, thanks Brian, good questions, and they highlight the most common downsides of the Blue Yeti, when used in the wild. So, let’s look at a few things we can do to improve the performance of our Yeti. On the microphone mounting question first – this a great step to take. The Yeti’s stand is fine as a stop-gap, but in reality, it’s too low to get your mouth in the right position when it’s placed on a normal table or desk. Speaking and recording is a whole lot easier if you can mount your microphone a little higher up, more at natural mouth level. When you bend, it has a pretty dramatic effect on your sound, after all. Your voice becomes strained as it forces it’s way through a bent windpipe, emanating from squashed lungs and a crushed diaphragm. Sounds dramatic, right? But those parts of your body are soft, fragile, and they’re really strongly affected by the position you sit it. If your spine is straight and your chin high, then you’ll almost always sound better. A shockmount is a tool that attaches your microphone to the microphone stand, but protects the mic from the vibrations and noise passing up through the stand or the table. Without a shockmount, you’ll often hear banging, rubbing or rustling which is conducted right through the stand into the mic. But, a shockmount holds the microphone in a soft mount – often rubber bands – so that the noise can’t reach the mic itself. There is an official Blue Yeti Shockmount, created by Blue themselves, and you can find it here: Blue Radius III. It’s not the cheapest in the world, but it should be guaranteed to work great with your mic. The Blue Yeti pro is pictured here, on the right, mounted in one of the same. There’s a decent alternative blue yeti shock mount by Auphonix which is worth a look if you’re on a lower budget. It might be a little less long lasting but it’s well thought of on the whole. I know you can make other shockmounts work with the Yeti too, but it might be a little hit and miss in terms of fit. If you have a music store close by, though, then by all means take it in and try it out with a few. You can get normal shockmounts a fair bit cheaper than that one from Blue. For pure ease of use, though, you can’t beat Blue’s offering, and the Auphonix one is sure to fit too. Next, you’ll need a microphone stand to attach that shockmount to. I did a post on microphone boom stands a while back, or you could just get a tripod stand like this. Be warned, the tripod stands take up much more room, and just tend to get right in your way. I’ve always found it well worth paying a bit extra for a boom arm stand for real ease of use. If you do go the boom arm route, you’ll need a good quality one to take the weight and, again, Blue have an on-brand Blue boom arm for you. Again, not cheap, but good quality, and (should be…) guaranteed to fit well. If you want to go for an alternative, my favourite top quality pick is the PSA1 from Rode. Either way, boom arms are amazing for keeping your mic handy, but just out of the way. 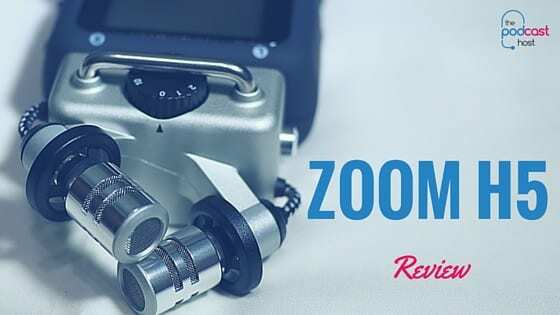 Just pull the boom arm around to your mouth when you want to record and push it back when you’re finished. Easy! Lastly, for the windscreen/pop filter question, a pop filter is great for reducing speaking noises called plosives. A plosive is the popping sound that happens when you say a ‘P’ or a ‘B’ or similar – when you blow air from your mouth and it hits the microphone with force. Good mic technique means getting right up close to the mic, so that your voice is much higher than the background noise. But, as a result, that will increase plosives since the air you’re expelling from your mouth has far less distance to travel to the mic. Pop filters are ten a penny, and most come with pretty universal screw mounts that clamp onto your mic stand or shockmount. This one from Auphonix is a decent choice, or, again, you could go with the slightly overpriced Blue pop filter. These are pretty un-technical bits of kit, though, so don’t overthink it. You can even make a pop filter from a hanger and a pair of tights! Conclusion: What Blue Yeti Accessories are Worthwhile? That sums up the most useful Blue Yeti accessories that we’ve used, but I’m sure there are more around. Drop us a comment below if you use something different! If you have the budget, it’s well worth getting the whole shebang – Yeti, plus shockmount, plus boom arm, plus pop filter. In fact, you can buy the whole package as a bundle, here, so that’s worth checking out: Blue Yeti, mount, stand and filter bundle. Your neck and back will thank you for saving them from the constant leaning over, and your audio quality will jump as a result! Using Your Yeti to Record Online Calls? If you’re already using your Blue Yeti to interview people online, then check out our big guide to recording online calls. If you’re recording Skype, then we might have some better suggestions for you here: How to Record Skype Calls with a USB Mic, Like the Yeti! PreviousBlue Yeti Review: The Most Popular Starter Microphone for Podcasters? Thanks for the write up Colin. Very useful. Just wondering if you have tried out the blue yeti pop filter from Auphonix. It looks like they made it specially for the Yeti. But it can also be stuck to the desktop. Any thoughts? Good pointer there – yes, I’ve used that pop filter before and it’s pretty decent. The only issue I have is that it’s quite heavy, so it can cause a bit of trouble with lighter boom arms. But with a good stand it’s good. And for the desktop mounting, I’ve found that the arm isn’t long enough to make it work with most desktops – it ends up a little low. But it would definitely depend on your setup, so it could work for you if your microphone tends to sit less than 12 inches above your desktop. Hope that helps! I can see why boom arms would be useful, but I will wait a bit longer before I buy the setup. Thanks for the tips Richard – that’s great to know another couple of pop filters that’ll fit a Blue Yeti. I know what you mean about figuring out whether they’ll work or not – the reviews aren’t terribly useful most of the time. Usually it’s just a case of get it, try it and send it back if it’s no good. Which is pretty inconvenient! Hi Colin. Good stuff bud. I have a question. I recently purchased a Blue Yeti mic, and have read the horror stories about the Radius shock mount not functioning properly. I noticed you appear to be using one, and was just curious about your experience with it. I also saw you mention that other mounts will work with the Yeti. I read that there’s a Spider shock mount that’s great with the Blue Yeti. The only problem is, I can’t seem to find one anywhere (and to compound the issue, I can’t even find a Radius mount anywhere other than a couple of idiots wanting $165-$200 for one). Can you recommend any other mounts that you know will work with the Blue Yeti? Or maybe point me in the direction of one of the previously mentioned ones that aren’t grossly overpriced? Thank you very much Colin! I really enjoyed the article, and I appreciate any help or advice you might have. Thanks again! Hey Brent, thanks for the question. I hadn’t actually heard the bad things about the Radius, so I’m sorry to hear that. I used one only briefly and it seemed fine to me. I’ve not used either for a while though and moved over to a MXL990 on it’s own shockmount. I’ve heard tell that the Ringer shockmount fits a Yeti OK, but that’s from Blue too, so if you don’t trust the Radius then you might feel the same about the ringer. Other than that, I’d recommend popping into your local music shop with your yeti. I bet you’ll find a shockmount that would fit if you try a few – just a matter of going through the sizes. If all else fails, I’ve seen a few DIY options out there. 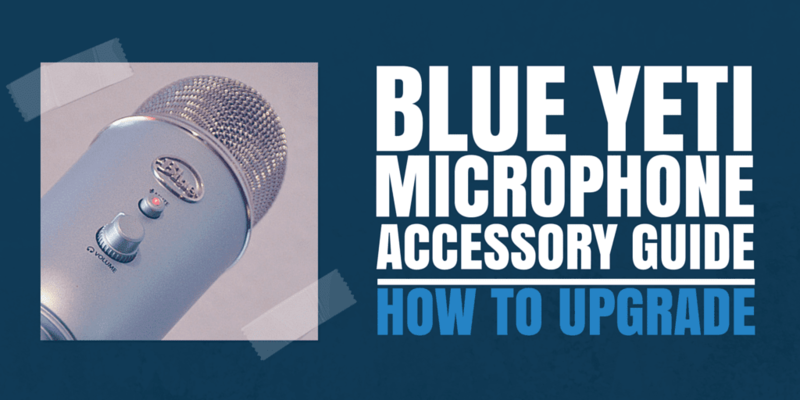 Search on YouTube for DIY Blue Yeti shockmounts and you might find something useful! Thanks Colin! I appreciate the response! Yeah, I’ll try to find one that fits, or just make one if I have to. It’s crazy… it’s about a 50/50 split on whether the Radius does the job or not, but, including you, I’ve seen pics/video of people using it, and not having any problems, so if I can find one (everybody seems to be out of them at the moment), I’m definitely gonna give it a try. Thanks again my friend! The Auphonix mount came with a note saying some blue yeti’s are defective and won’t fit because the threaded hole is 1/16″ too big. The note says that not even blue yeti mounts will work on these. Sure enough, the Auphonix didn’t fit. Any suggestions? Hello, we are new to podcasting and we recently purchased this Mic. I was wondering if it would be possible to hook up 2 sets of headphones to the same Blue Yeti Mic? I tried a regular splitter and it doesn’t seem to be working. Just curious if this were a possibility for a two person interview. Thanks for the info! Hi Kyle, there’s no reason a standard headphone splitter shouldn’t work with the output, so that’s a bit strange. I’d go through a bit of testing to see what’s at fault. Try both sets of headphones in the Blue Yeti individually – that’ll tell you whether they work OK with the device, and whether the Yeti’s headphone output is OK. If both of them are OK, then test the splitter with another device, such as your phone or an MP3 player. If the splitter doesn’t work, again, with any other device, then splitter could be faulty. Does the mic stand have a USB cord, or is the Yeti USB long enough for use with a mic stand, OR do I need to buy some type of male/female/converter/adapter thing? To be honest, it depends a lot on where you place your Yeti relative to your computer. A USB extension cable will cost pennies anyway, so could be worth investing in. Hope that helps! Hi Colin. I was wondering if you would know why my Yeti keeps disconnecting and reconnecting randomly from my computer. It will still be plugged in while I’m recording, it then disconnects for a second, and then reconnects, but this usually stops the recording. My computer has plenty of RAM and every other USB device doesn’t do this when I use them; only the Yeti. I have tried different cables and still I have this problem, I have tried multiple USB slots also. I have a Windows 7 computer and have tried uninstalling and reinstalling the driver for the Yeti multiple times. If you’re not sure what’s going on that’s okay, I’m just trying to find a solution to my problem. Thanks. Hi Dyson. The mic itself may be faulty. Are you able to try it on another computer? That way if it still happens you can eliminate your computer from the list of potential problems. Let me know how you get on with this, cheers. Hi guys. As always, this is a great article. I just got my Yeti and am planning to get the shockmount soon. My question is more of a set up question so I am not sure if it fits on this post or not but any help would be extremely appreciated. I know the Yeti has its own gain control and I was trying it out yesterday and really love it. But what I am trying to figure out is what are the best settings to have with the Yeti when it comes to the actual sound setting on the computer? For example, when I have used my cheap USB headset mic I often set mic volume on the settings to 100% but I have heard people setting the volume at 20% even when using the Yeti. Does that make any difference on the Yeti’s ability to pick up audio or does that basically become a useless setting to worry about given the Yeti’s individual gain controls? Now, back to actual gear…the kit I purchased includes a Knox Pop Filter for Yeti Microphones but I am having a hard time figuring out how to put this on. I know there are probably pictures out there but as you may recall from reading on my other posts I am actually visually impaired and cannot see the pictures out there. Should I clip it to the base or to that flat curved part on the stand of the Yeti? The slightly curved spot on the stand seems to make more sense but just wondering if you have a better way to explain that to me. Thanks again for continuing to always give us great information! Hi Maxamiliano, I’d just keep the computer input volume at 100% and adjust the gain on the mic to your taste. As for the pop filter, there should be a hole in the arms that hold the main part of the mic up, this hole is usually where the pop filter screws into. Hi! I was totally convinced that I should get the Blue Yeti mic but there have been multiple reviews on amazon in the last little while that it’s no longer working well with the new mac updates. I’m so disappointed and hoping this isn’t true! Do you know anything about this? Hi Lily. I’ve not heard anything about this but I’ll look into it and let you know if I find out more. I help VO students get started, the majority of them buy the Blue Yeti, and lots of us use Mac (myself included). Never had an issue. It’s a great workhorse mic, I’ve used mine for 3 years almost daily. Hi there, I’ve been doing youtube videos for a bit (mostly gaming stuff), and I’ve been using a USB Logitech headset with a mic, which is literally flaking away into pieces. I’m about to buy the Yeti so I can have a dedicated mic, and already have a new headset that uses a regular audio plug. Going to get a pop filter too because that looks like a necessary addon for quality. Any recommendation on size for the filter? I see 4″ and 6″ ones and don’t want to overspend even though pop filters all seem to be fairly inexpensive. Every dollar counts, right? And what exactly is the benefit to plugging the headset into the mic? Is it more a feature you’d use just recording audio? For what I use the hardware for, I don’t know if it would really work because (afaik) I wouldn’t be able to hear the audio on my computer/friends on Skype or whatever if I’m plugged into the mic. I also use a noise gate program, but does the nicer mic here eliminate the need for something like that? Also, how necessary are a shock stand and mount? The Yeti appears to have a base I could just set on my desk and angle it how I need, but if it’s essentially imperative to get them, I’d like to know so I can work them into my budget. Sort of stumbled on your page here trying to find info on accessories for the Yeti, and after seeing how you interact with all the commenters, I’ll definitely be looking around the site some more. If you have headphones plugged into a mic you’ll be able to hear anything played on the computer as long as you’ve set the mic to be your primary playback/output. With noise gating, I wouldn’t record your audio with any sort of gate on. That means you can apply it in post-production if you still feel you need it, but you’ll have more flexibility with your source material. And the Yeti sits well on the desk on its own. As long as you’re not banging and thumping the table it’ll be absolutely fine there. Thanks! It was just some small concerns I wanted to iron out, and that helps. And I decided to go with the 4″ pop filter that was recommended by someone in one of the first comments. Looks like larger is maybe more useful if a couple people will be in front of it, but it’s just me using this. You’re welcome Rich! Good luck with your endeavours. Just wanted to say thanks yet again. I’ve been using the mic now for a couple months, and sound is sooo much better in my recordings now. So, I use my blue yeti for recording Dungeons and Dragons sessions, and have been for about the past year or so. I’ve been making small upgrades as we’ve progressed in our campaign. Currently I have a “workable” setup, I have the Grey Vocalbeat foam windscreen that I’m using as a pop filter. I also have the official blue pop filter, but the foam windscreen works better with omnidirectional and a group at the table. I also use the official blue shockmount mentioned in your article. My current concern is the tripod mount I use. It works if I can get the microphone in the middle of the table without too much extension (not always possible since we play at someone else’s place every friday). So sometimes we have to fill up a bag of books to lay on top of the base of the boom stand. I’d like to find a boom stand that is portable/collapsible, but can also handle the weight of the yeti without having to tighten the joints like crazy and lay a bag of books on the legs. Do you have any suggestions? I’ve tried table mounted ones, but they’ve broken after little use, and scratch up some table surfaces in the process. Just got my Yeti Blue to replace a headset. My listeners complain that my voice is muffled, there’s an echo and I sound terrible. I’ve tried all combinations and settings and distances. Sadly I’ve reverted back to the headset which doesn’t have any of those problems and my listeners are happy with it. Am I missing a setting some how? Hi Ken, condenser mics such as the Yeti can be unkind to the voice if you’re not recording in sound-dampened conditions, which could account for the echo. Are you using the cardioid polar pattern? What software are you recording into? Hey Colin. I am stuck with either an editing issue on my behalf or somethings is wrong with my Blue Yeti Pro mic. After editing- noise reduction, normalizing, compression and equalizing. I have a ticking noise like a clock. i have moved rooms to and empty one. i have covered up my laptop. I have tested in all different ways but always end up with a ticking sound. Could this by my microphone? Hi Jamie, is this ticking noise there before you apply your cleaning, processing, etc? I’d see if you can try the Yeti with a different USB cable, then try it on a different computer. That way you can identify if the problem area is the cable, computer, or mic itself.